Windows 10 (like its predecessor, Windows 8.1) comes with a hidden battery report feature that you can only access from the command line. 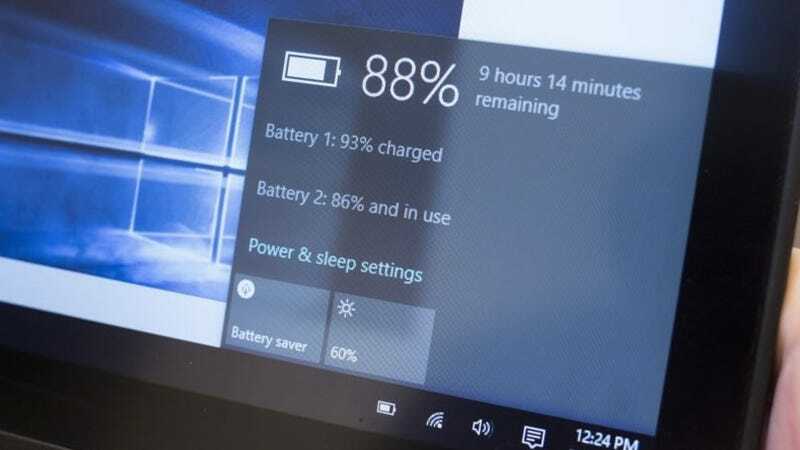 The report provides detailed readouts on the usage, status, and health of your laptop’s battery. It can be an invaluable tool in making sure your system’s running smoothly and spotting power problems before they get serious. Then hit Enter, and your finished report can be found in the root directory of the C: drive (or wherever you specified). Understanding the report is a little trickier, but it’s not impossible. You get information on the full specifications of the installed battery, as well as recent usage and battery capacity charts (which should give you some indication of its current health). Battery life estimates is an interesting section to check to see if you’re getting the time between charges specified by the manufacturer. Many users won’t technically need to run these reports, but if you like to know everything that’s happening on your machine, then it’s a great way to get more information about your battery. If there’s a large discrepancy between the full charge capacity and the capacity figures on report, for example, it might be time to buy a replacement battery. Contact the author at david.nield@gizmodo.com.